Group Booking cancellation: cancell before 3 weeks , we don't charge your credit card. if you cancell later we will charge the first night stay. Noshow we charge also the first night stay. You want to be in the dead centre of things? You've found the right place! 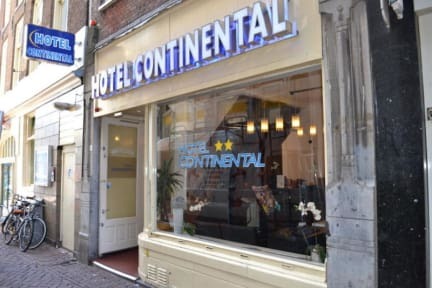 Our hotel is very centrally located on Damrak, the main thoroughfare leading from Central Station into the heart of Amsterdam. We're five minutes from the station, actually, so you won't have far to carry your luggage! This is an ideal starting point for exploring our city's versatile attractions, most of which are right on your doorstep, from the hip Jordaan area to the Red Light District and Dam Square. Each of our 33 rooms has a colour TV and phone, free Wi-Fi and city maps. 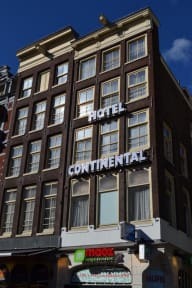 There's a safe deposit box at reception if you want to store your valuables, and reception is open 24 hours a day so you can explore Amsterdam at any time of day or night.